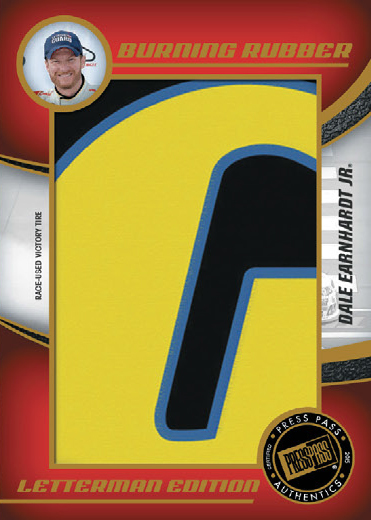 Usually, the first trading card set of a new NASCAR season is a low-end affair targeting set builders. 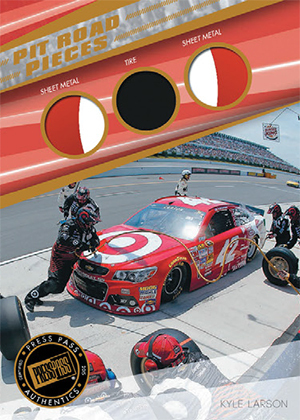 That's not the case with 2015 Press Pass Cup Chase Racing. 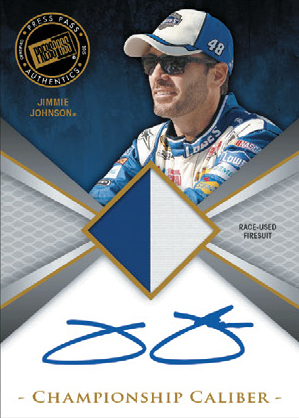 The high-end product has five hits per box including three autographs. 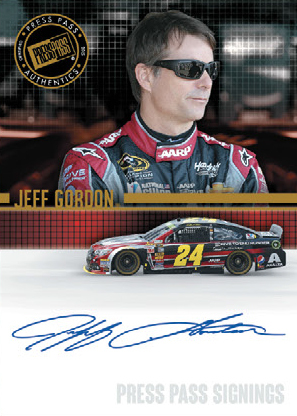 Two of the promised autographs come in the form of signed memorabilia cards. Among them are familiar names like 4-Wide Signature Edition and Signature Series. Pit Road Crew brings pieces from the race car itself. 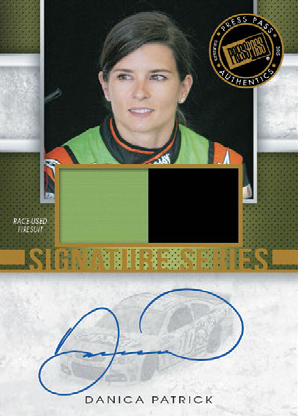 Championship Caliber is another basic autographed memorabilia card. 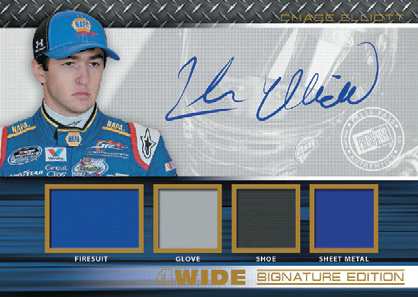 Every 16-box case comes with a book card that teams an autograph with a large memorabilia piece. The venerable Press Pass Signings return for another season to represent the traditional autograph cards. 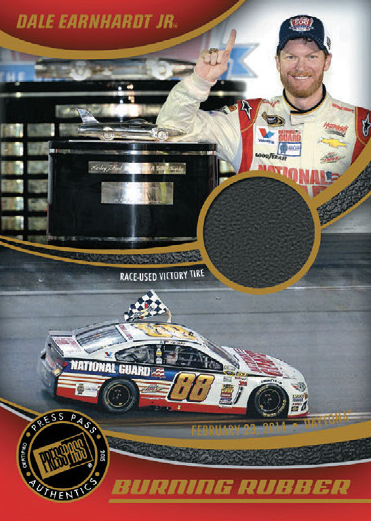 2015 Press Pass Cup Chase Racing also has a pair of memorabilia cards, one of which has two or more pieces. Burning Rubber has a piece of tire from a championship car. Letterman Edition cards have a letter from the tire logo. 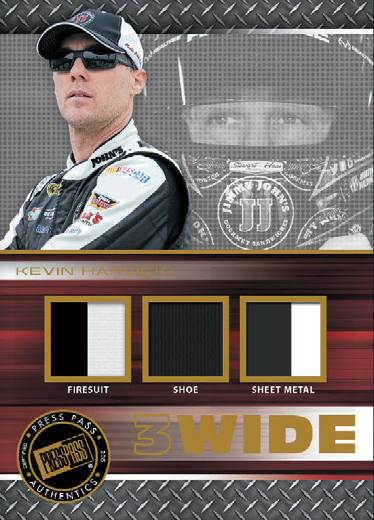 3-Wide is as you might expect, arriving with a trio of swatches. 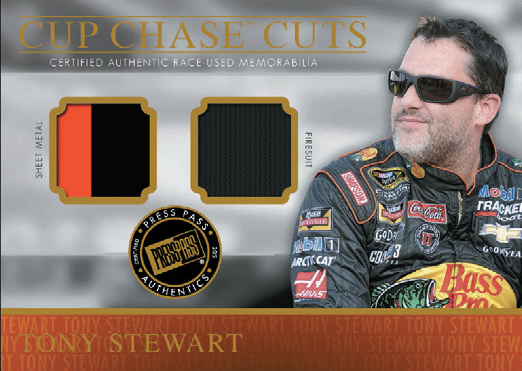 The 2015 Press Pass Cup Chase Racing base set has 100 cards. 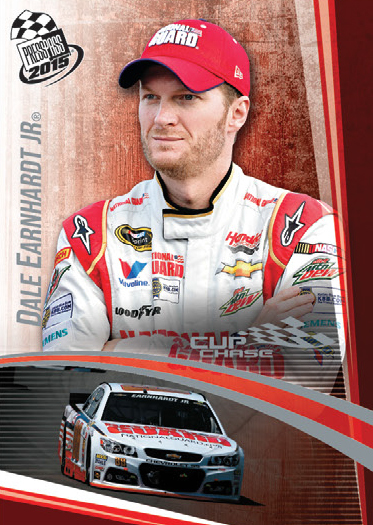 The design includes a racer portrait at the top of the card and their car on the bottom. Every pack comes with a parallel numbered to 75 or less. When will you get the racing checklists up again?